Langdro Könchok Jungné (Tib. ལང་གྲོ་དཀོན་མཆོག་འབྱུང་གནས་, Wyl. 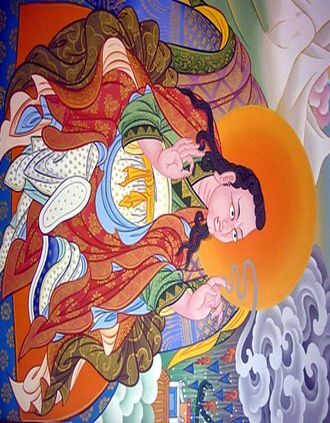 lang gro dkon mchog 'byung gnas) also known as Langdro Lotsawa — one of the twenty-five disciples of Padmasambhava. He came from the area of Langdro in Tsang and was a minister at the court of King Trisong Detsen. Among his main reincarnations are the great tertöns Ratna Lingpa as well as Dzogchen Pema Rigdzin and Jamyang Khyentse Wangpo who is said to be is activity emanation. This page was last edited on 29 March 2011, at 15:04.